1: Welcome to Colmar, the city of the Statue of Liberty! Huh? 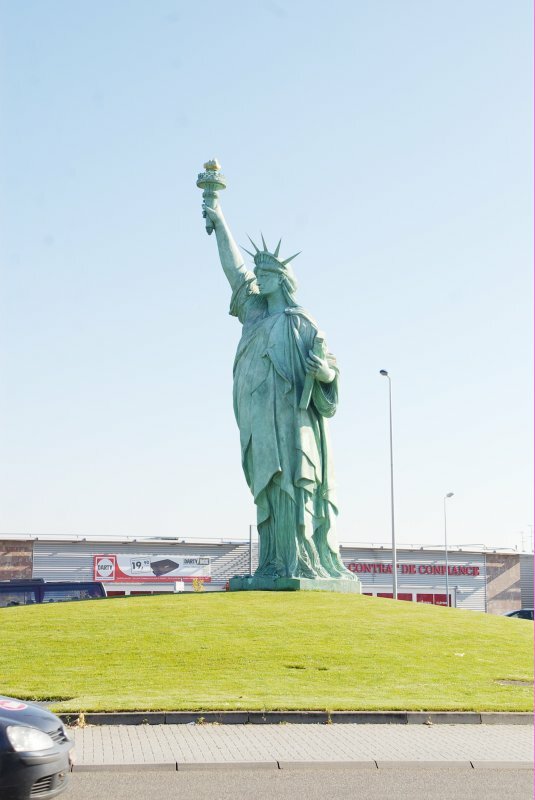 Well, the explanation is that the "real" one was made by Colmarian sculptor Bartholdi, and at the centenary of his death in 2004, a replica was raised at the Northern approach to Colmar, and it has since then become Colmar's new landmark.